One particular name in the credits of Rogue One should be familiar to longtime Mac fans. 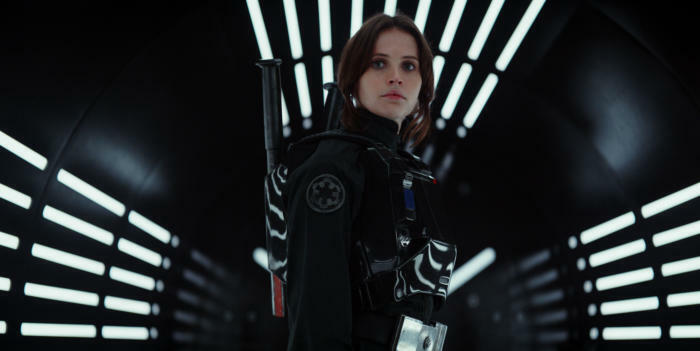 What do Rogue One: A Star Wars Story, opening this week, and the Mac have in common? John Knoll. John Knoll is chief creative officer at Industrial Light & Magic (ILM), the division of LucasFilm that has been a leader in creating special effects for decades. And, yes, ILM is responsible for the special effects in Rogue One. But beyond his role as a leader at ILM, John Knoll is the executive producer of Rogue One, and the film’s story is credited to him. When Disney bought LucasFilm and announced that it would be making annual Star Wars films, including ones that weren’t the continuation of the story from Return of the Jedi, Knoll pitched an idea he had that had its origins in the opening crawl of the original 1977 Star Wars. That pitch, about the group of rebels who manage to steal the plans for the Death Star so that Luke Skywalker can be sent to blow it up in the climax of Star Wars, turned into Rogue One. So where does the Mac intersect with this story? At a few places, but most notably with one of the most important apps ever written for the Mac, or any computer: Photoshop. Because the fellow who came up with the story for this year’s Star Wars movie also happens to be the co-creator of Photoshop. Back in 1987, John Knoll’s brother Thomas was a Ph.D. student at the University of Michigan. He wrote an image-display app–imagine a very primitive version of Preview–and sent it to John, who was already working at ILM at the time. John and Thomas began expanding the program, adding other image-editing features. Thomas was reluctant to turn the project into commercial software, but John convinced him that it had huge potential. Though the brothers shopped the program–which Knoll had nicknamed Photoshop–around to numerous Silicon Valley software companies, it was first released to the public as Barneyscan XP version 0.87, image-editing software included with scanner hardware. John Knoll contributed several image-editing features to the product, inspired by the workstation tools he was using at ILM. He would go on to add more features by creating Photoshop plug-ins, making the Knolls’ program one of the first apps with a plug-in architecture. In the fall of 1988, John Knoll demonstrated Photoshop for a group of Adobe officials, including CEO John Warnock. After 15 minutes, Warnock was convinced Adobe should acquire Photoshop. Adobe ended up licensing the software from the Knoll brothers, and Photoshop 1.0–minus a few advanced color-management features–was the result. (Photoshop 1.x source code is now available from the Computer History Museum.) With version 3.0, Adobe bought out the Knolls, and Thomas went to work at Adobe while John continued to work at ILM. Adobe tried for a very long time to find a better name for the product, but nothing ever stuck, so the company reluctantly went with “Photoshop.” The rest is history–and now photoshop isn’t just a program, it’s a verb. John Knoll has another interesting connection to the Mac: As a fan of using graphics apps on Macs, he thought he could do a better job of remaking the special effects for the original Star Wars on his Mac than a team of ILM artists. As the story goes, Knoll managed to create shots on his Mac in a few days, while ILM officials waited weeks for shots from an ILM team that never arrived. If you’ve ever looked at the Special Edition version of Star Wars and wondered why the effects look like they were made on a Mac in the mid–90s, well, that’s because they were. John Knoll’s Mac. John Knoll went on to be the effects supervisor for the Star Wars prequels, won an oscar for a Pirates of the Carribean film, and was named Chief Creative Officer of ILM in 2013. And now his story, generated from a glint of curiosity when reading those first paragraphs of the opening crawl of Star Wars, is about to be screened in front of millions of people in theaters all over the world. It’s heady stuff. But how heady can it be, really, when you and your brother invented Photoshop nearly 30 years ago?